This week, the Paste music staff returned from SXSW—a wide-ranging, week-long extravaganza that includes one of the world’s best music discovery festivals—and though we had the best time discovering some great new artists, we’re still feeling a bit bleary-eyed. One of our editors, Ellen Johnson, decided to stay on the music festival train and ride it all the way to Boise, Idaho, for Treefort Fest this week—someone give her a medal. This week saw the release of some big singles—Lizzo recorded a song with Missy Elliott, Weyes Blood dropped a song from her forthcoming album Titanic Rising and up-and-coming singer/songwriter JW Ridley unveiled a melancholy new single. 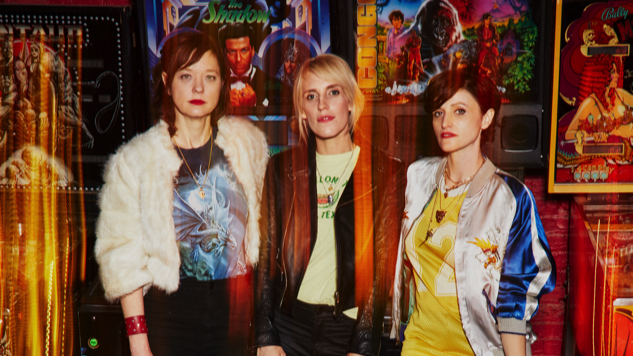 Today is also a great day for album releases—particularly Ex Hex’s It’s Real and Sleeper’s The Modern Age. Check out all the best new music from the past week below plus some of our favorite features including SXSW coverage and a look into the music of Mister Roger’s Neighborhood.